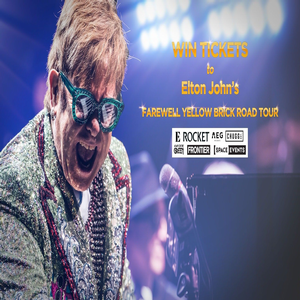 Win a trip for 2 to see Elton John's farewell tour in New York! To enter, eligible entrants must, during the Promotional Period, visit www.todayshow.com.au, locate the promotional entry form, complete all requested details including full name, contact number, a valid and current email address, postcode, confirm their availability to travel, provide an answer to the question “Tell us in 25 words or fewer what song you can’t wait to see Elton John perform live on his farewell tour?” and submit the completed form. •	2 x VIP tickets to Elton John’s sold-out Madison Square Garden Farewell Tour concert, on 06/03/19 including champagne toast & welcome gift upon arrival, exclusive behind the scenes escorted backstage tour and on-stage VIP photo opportunity at Elton John’s piano.